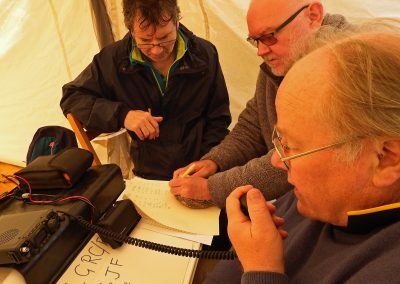 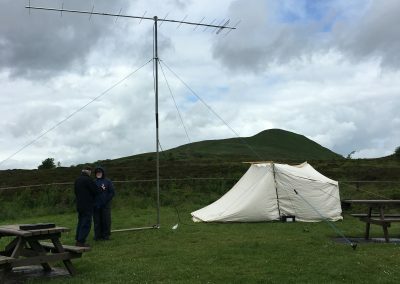 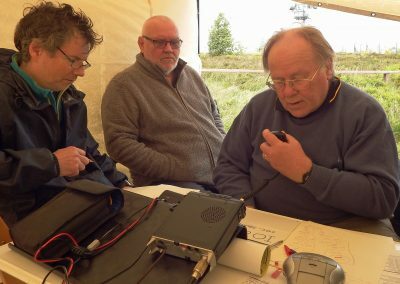 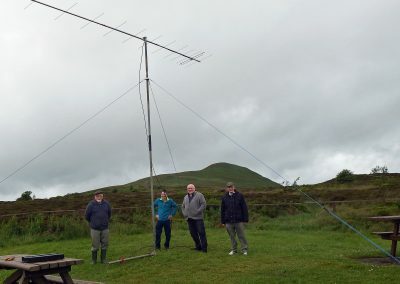 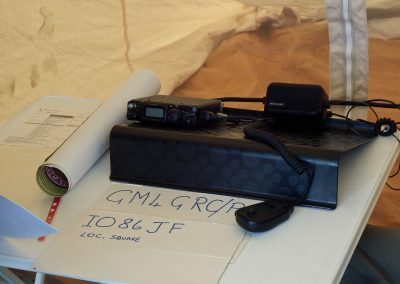 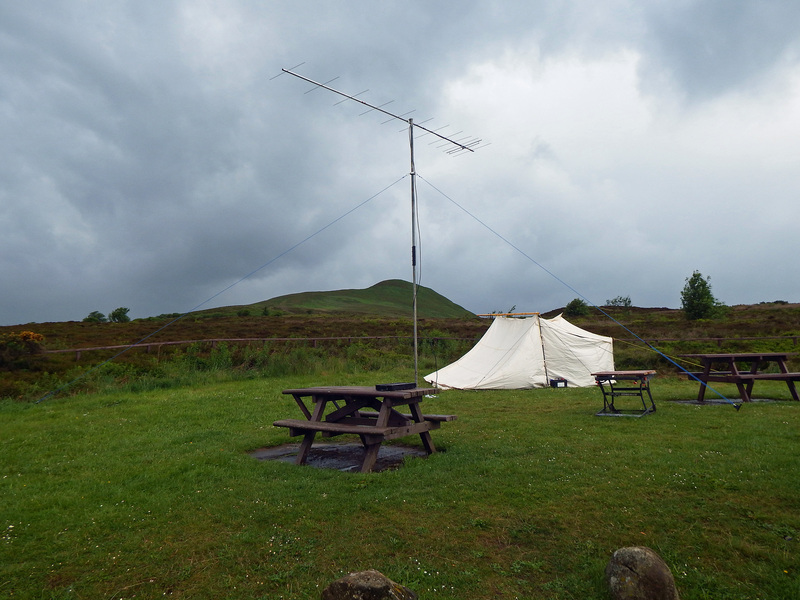 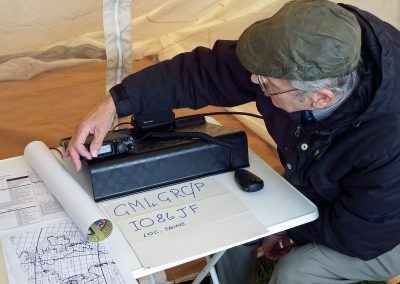 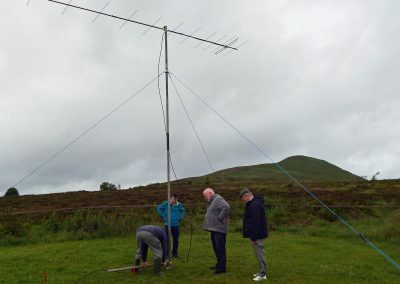 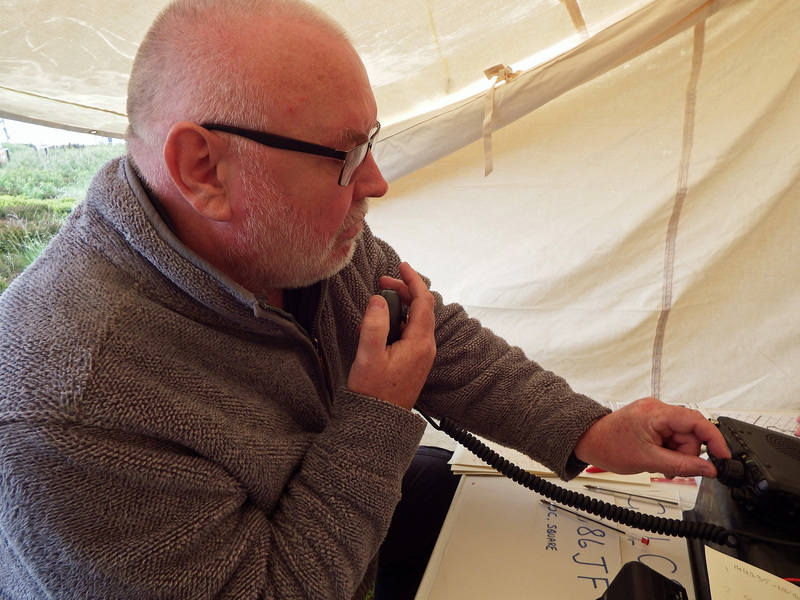 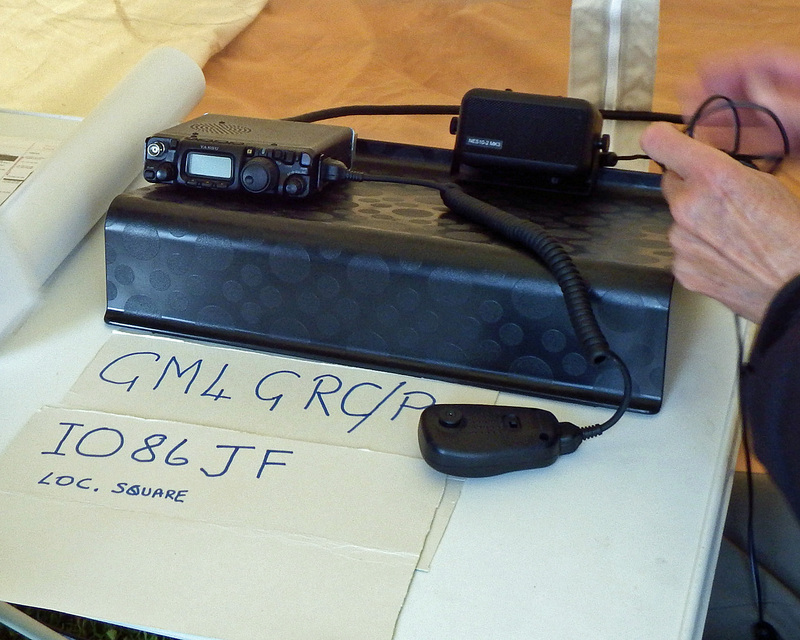 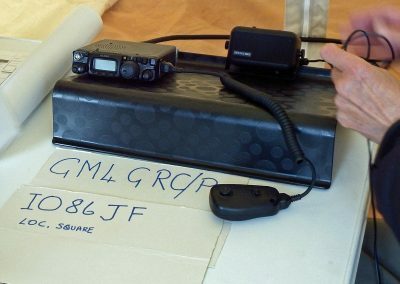 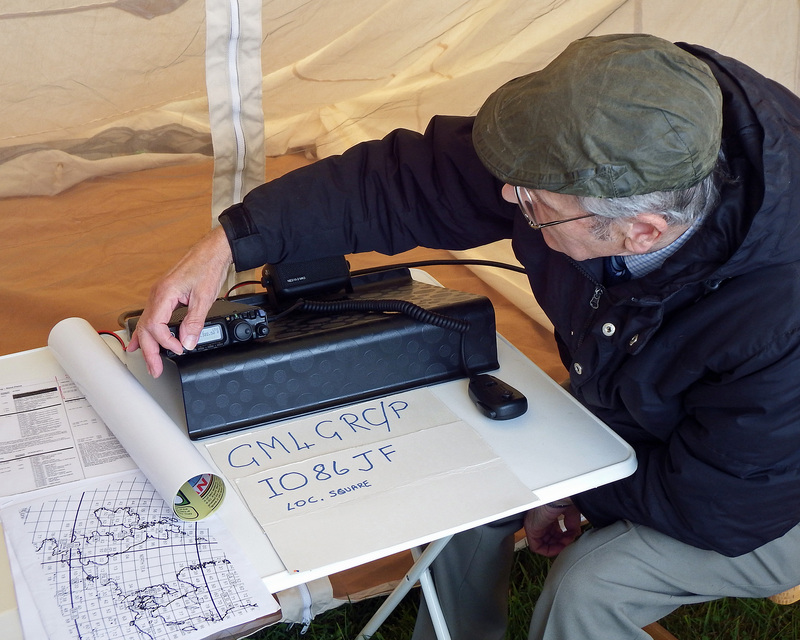 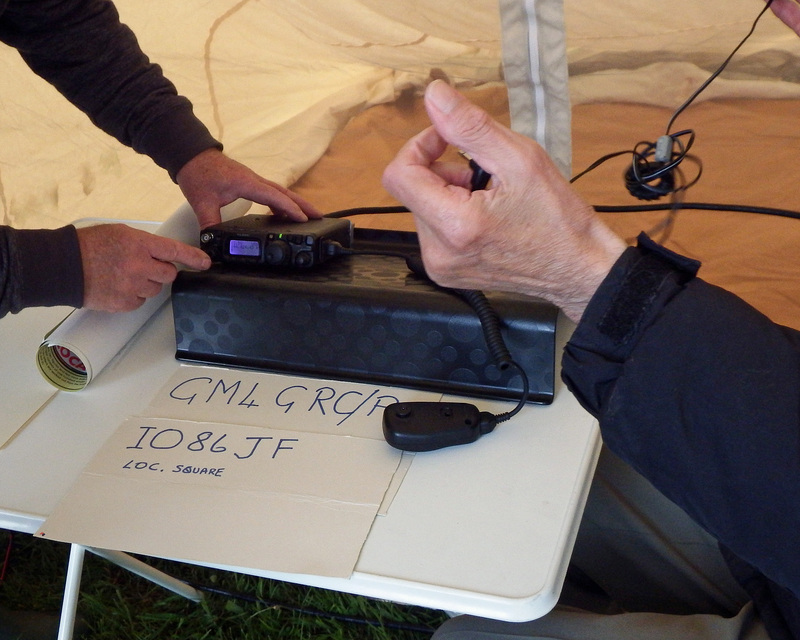 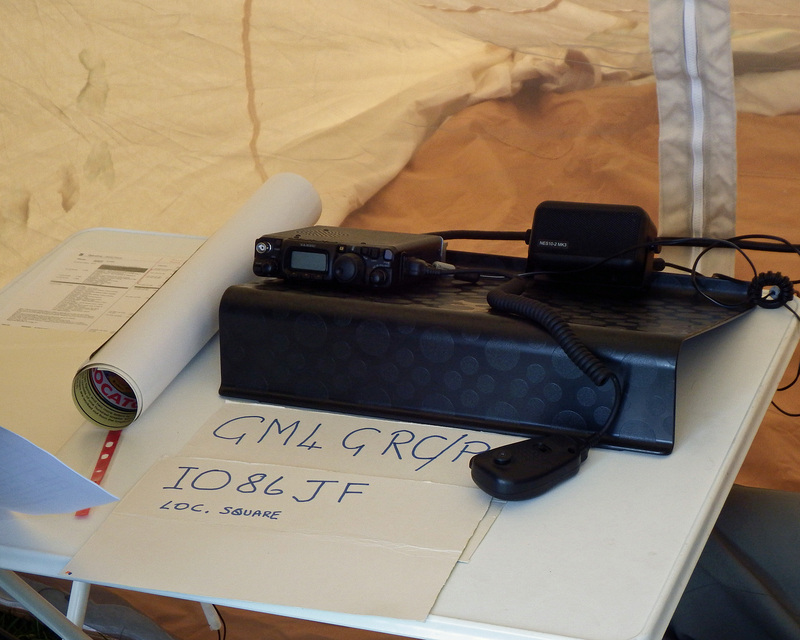 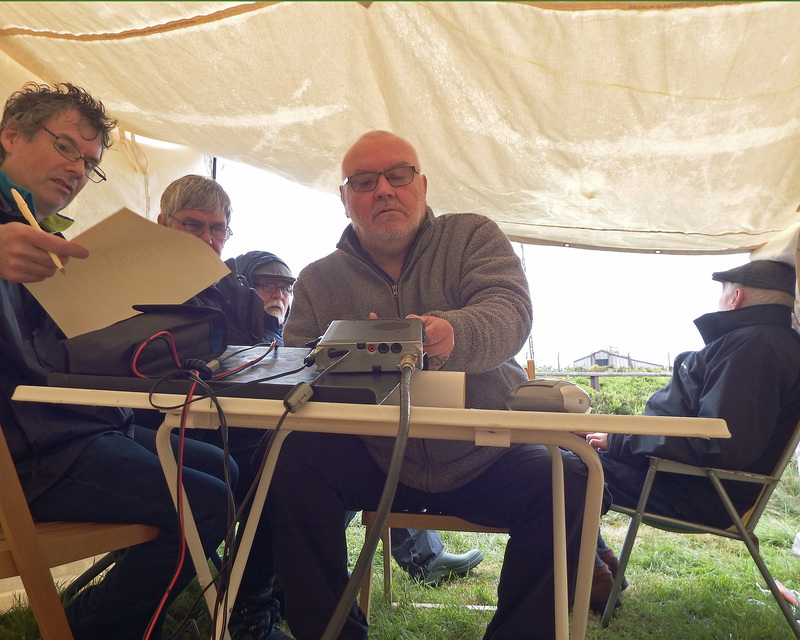 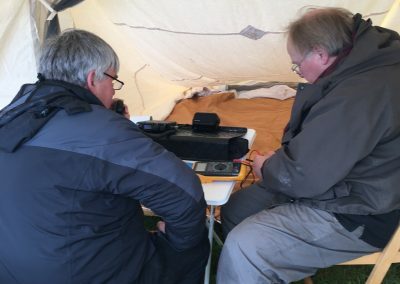 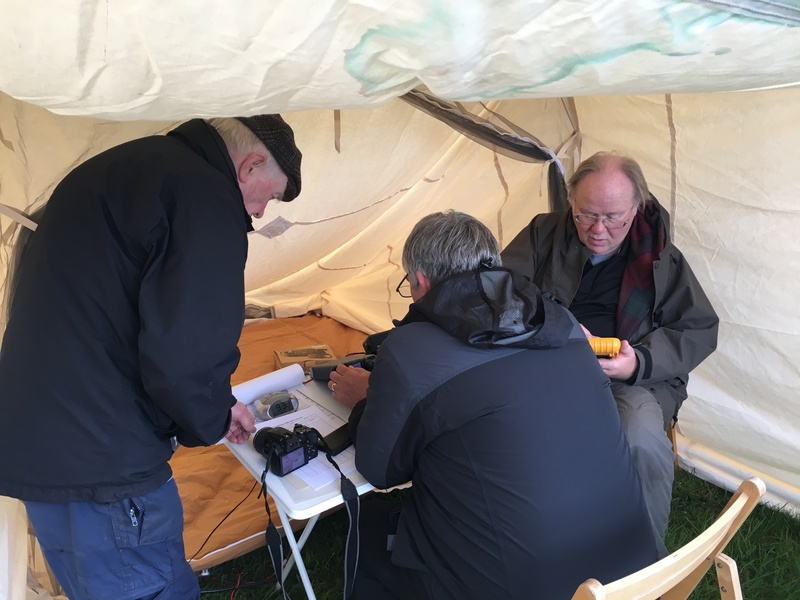 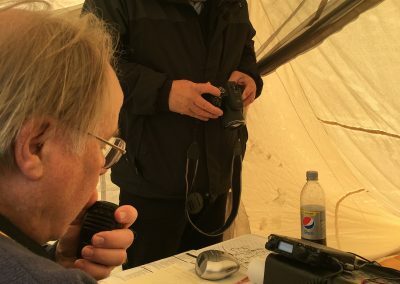 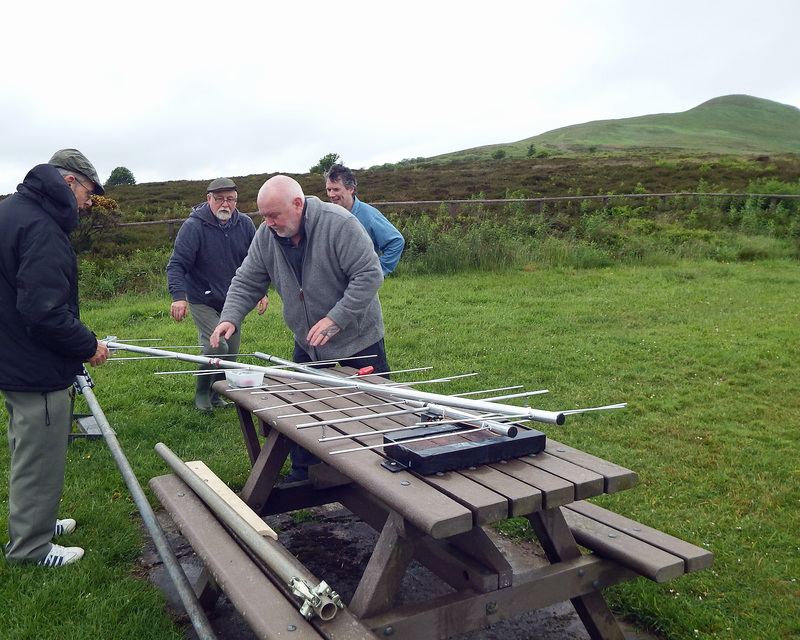 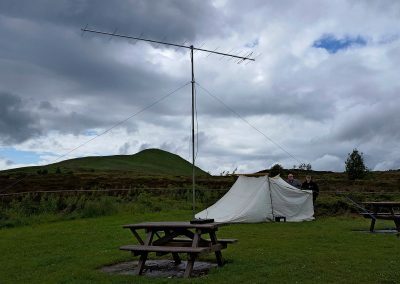 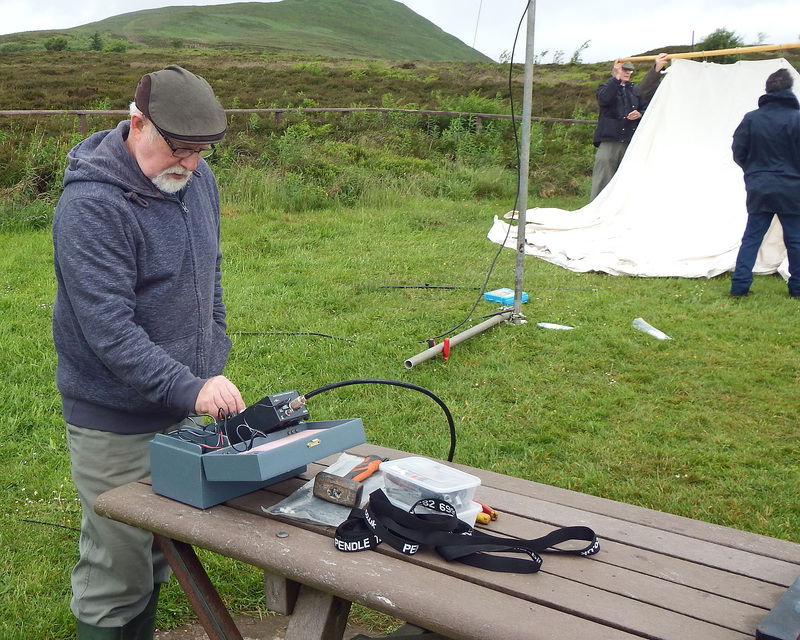 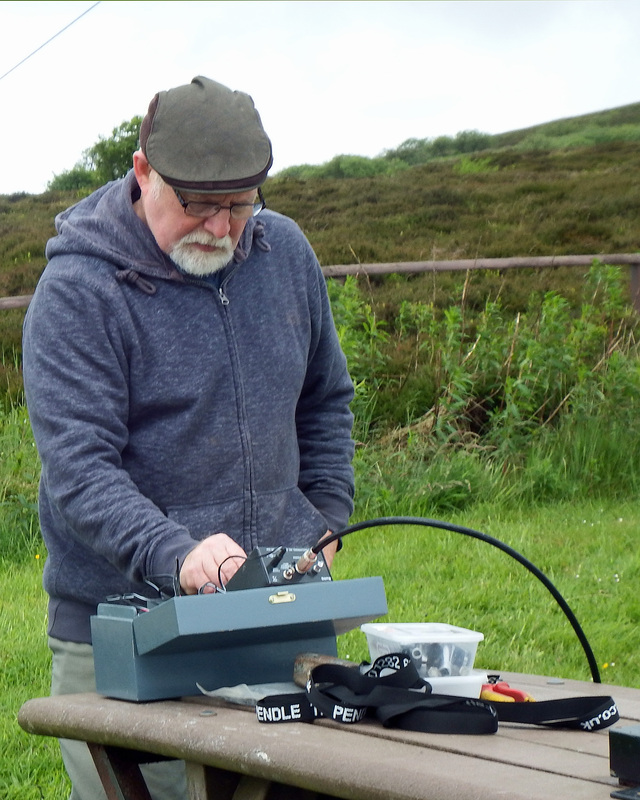 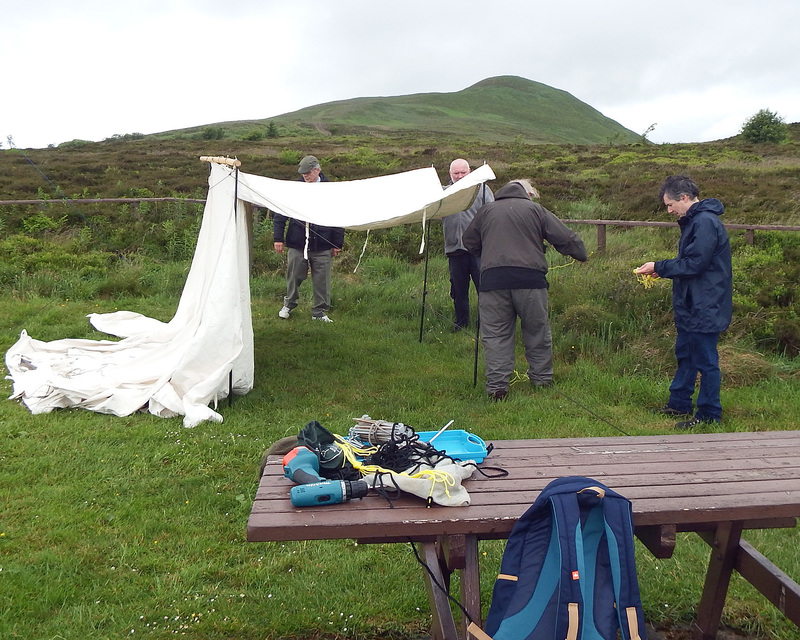 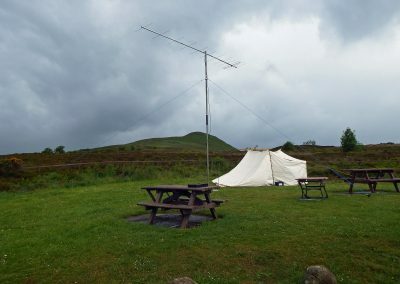 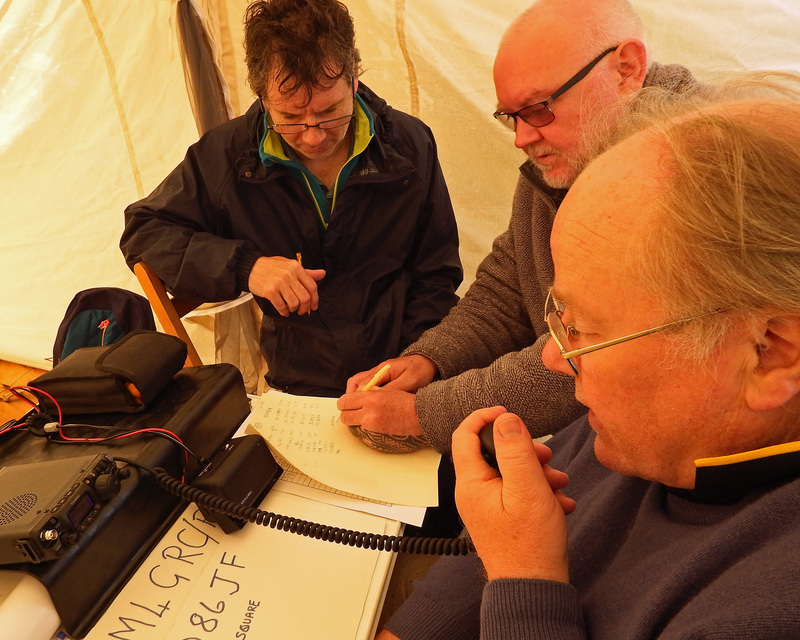 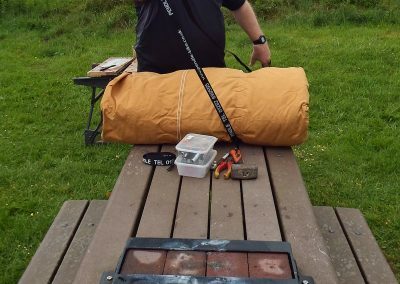 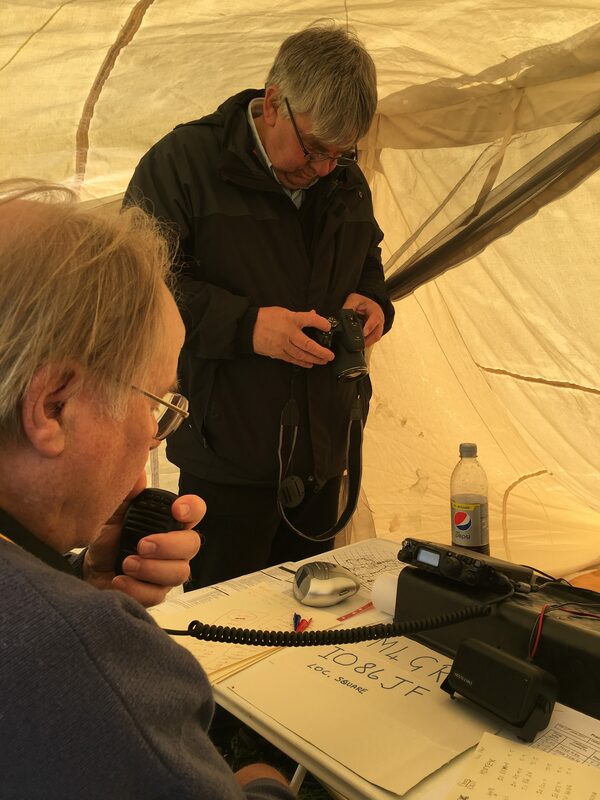 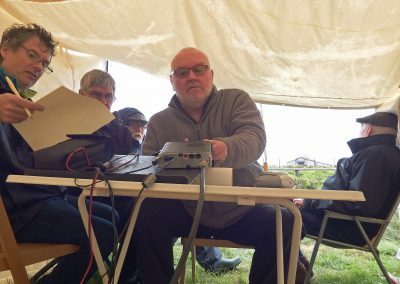 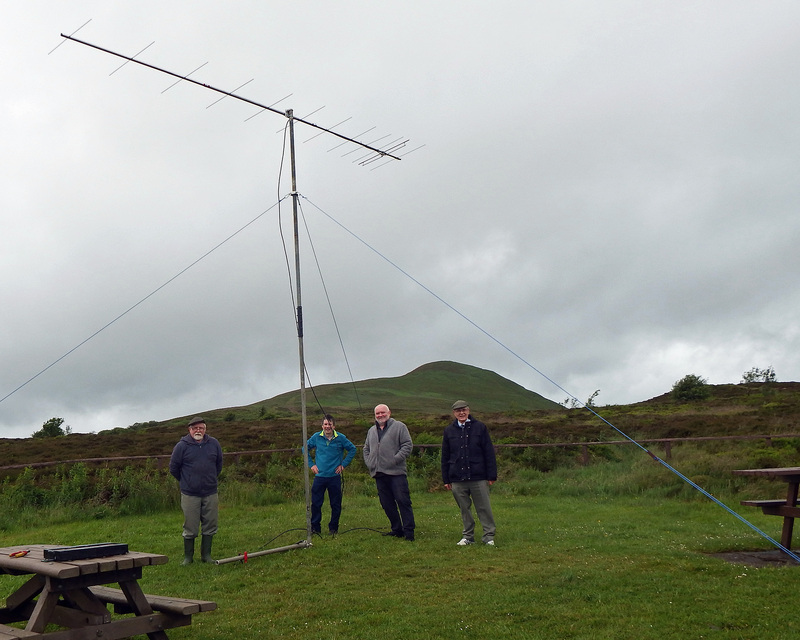 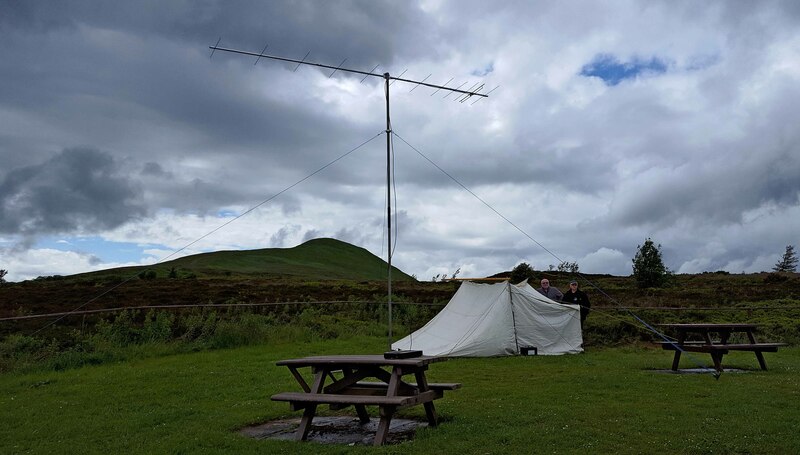 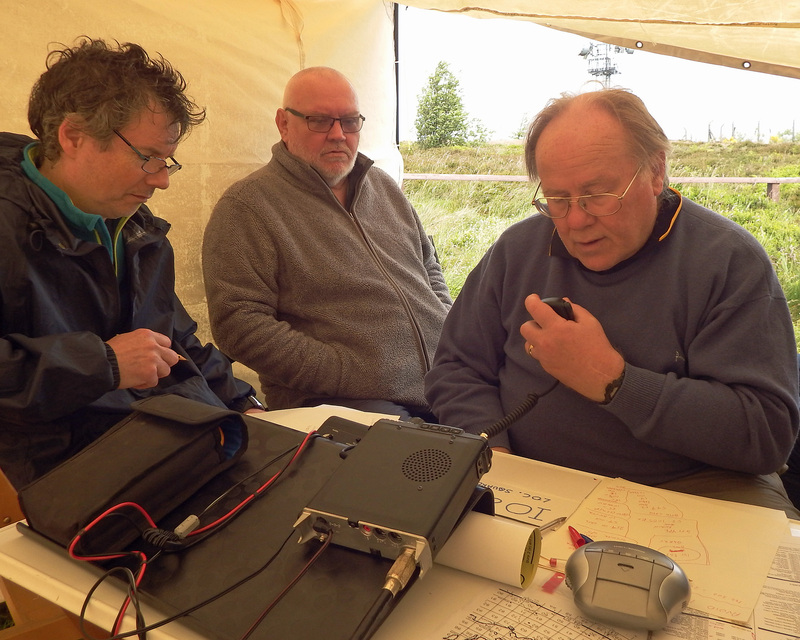 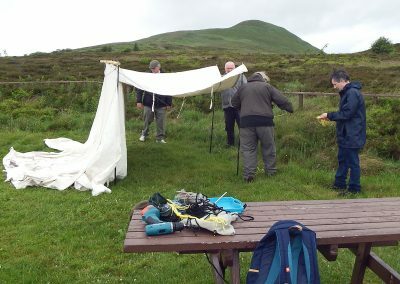 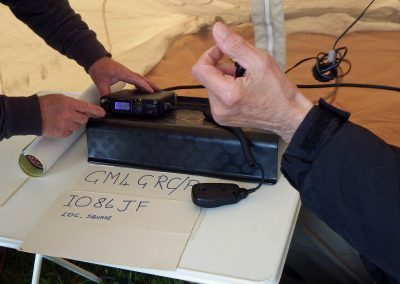 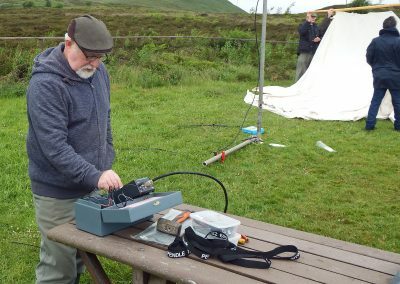 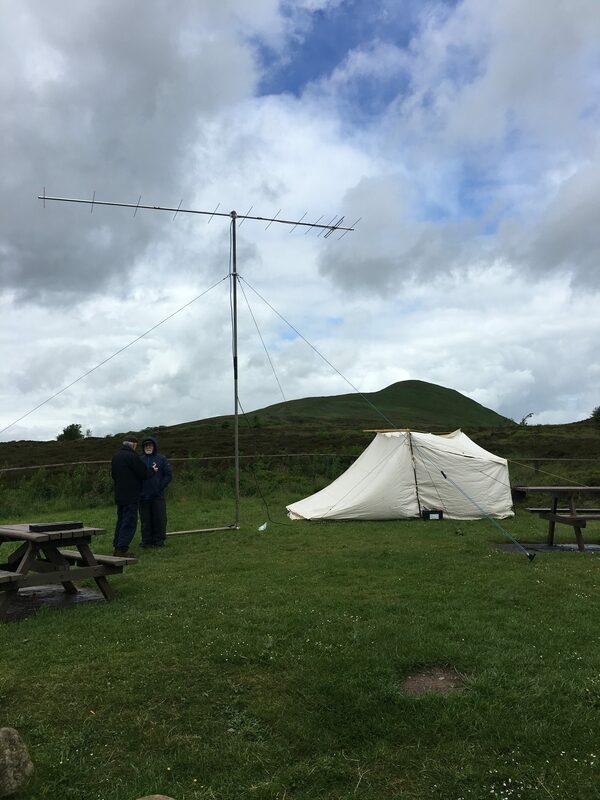 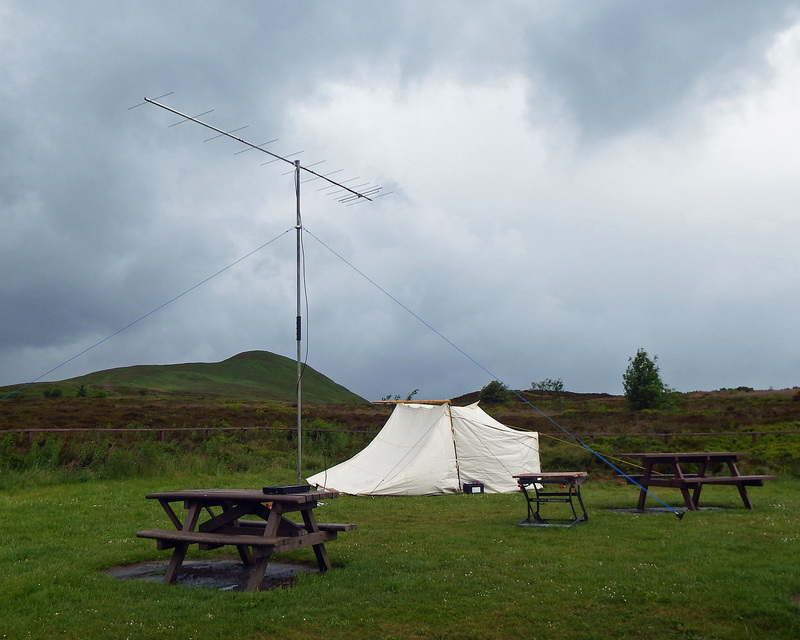 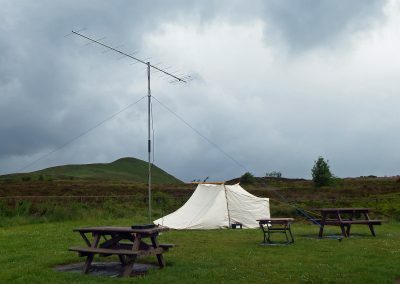 On Sunday June 11th members of Glenrothes & District ARC took to the East Lomond (Falkland) Hill to take part in the PW 144MHz QRP contest. 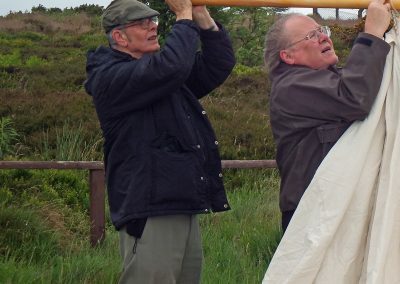 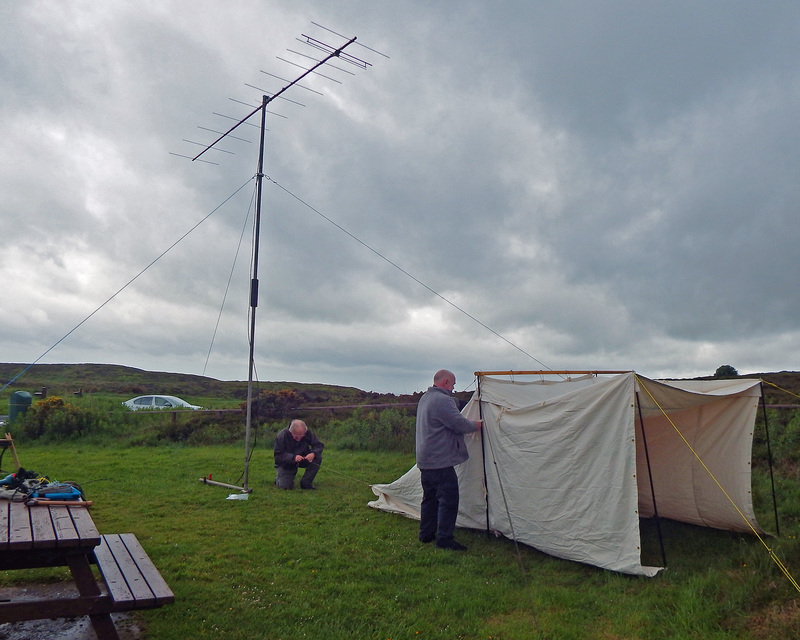 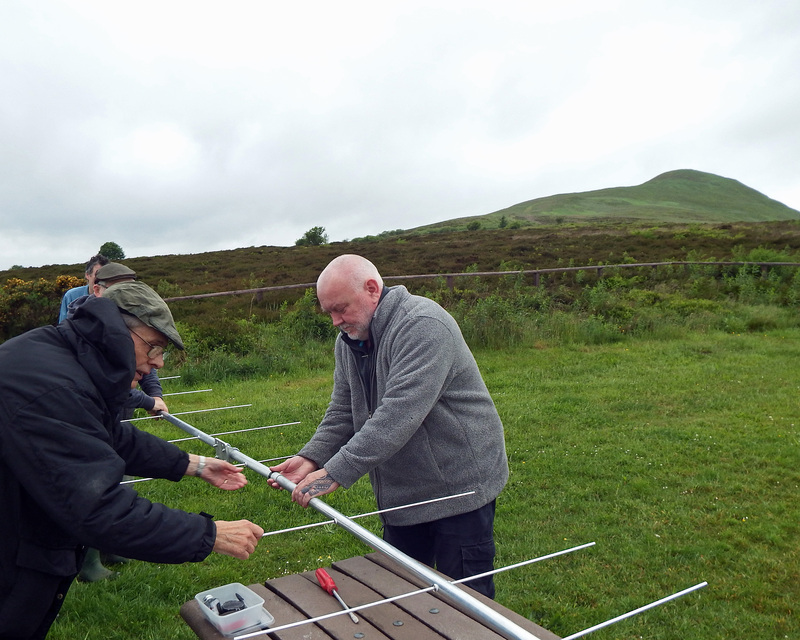 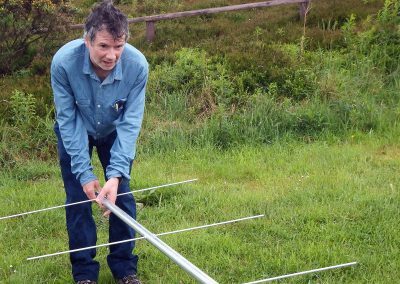 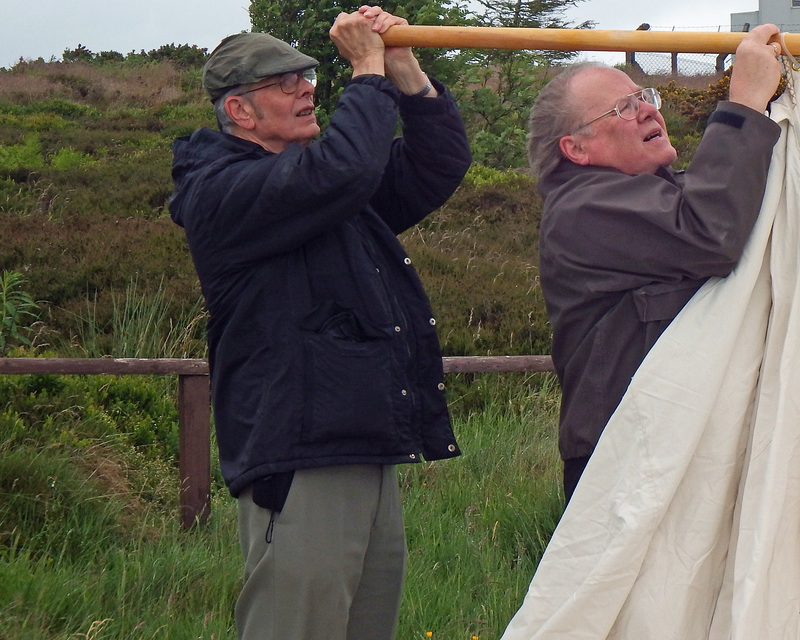 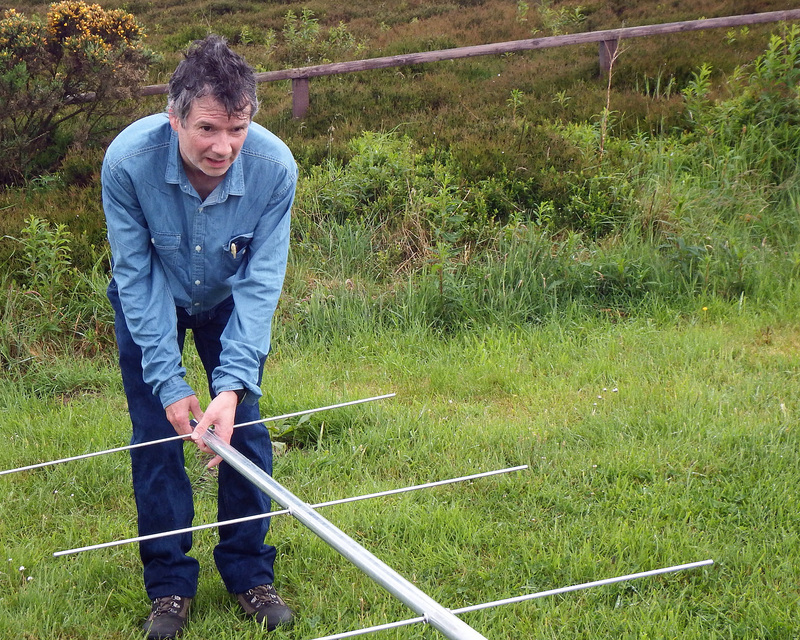 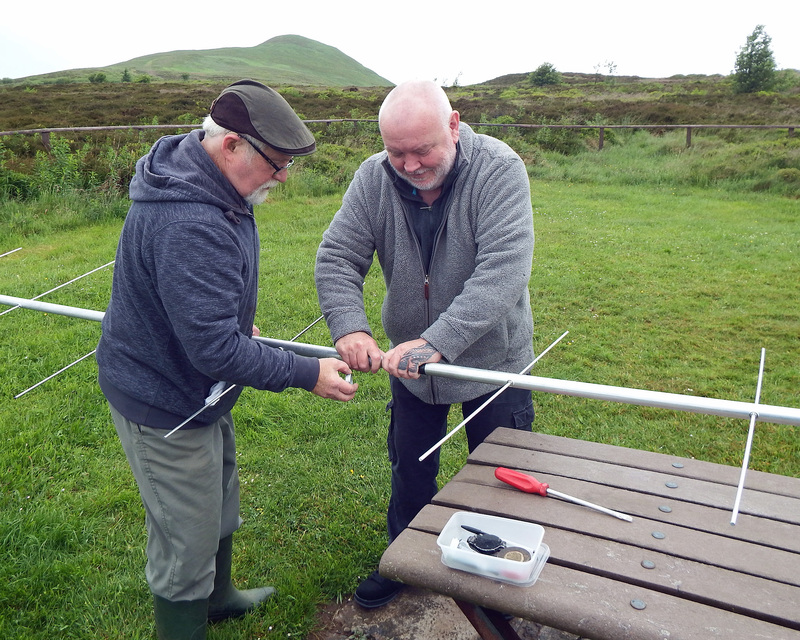 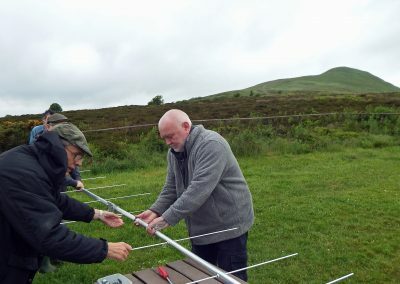 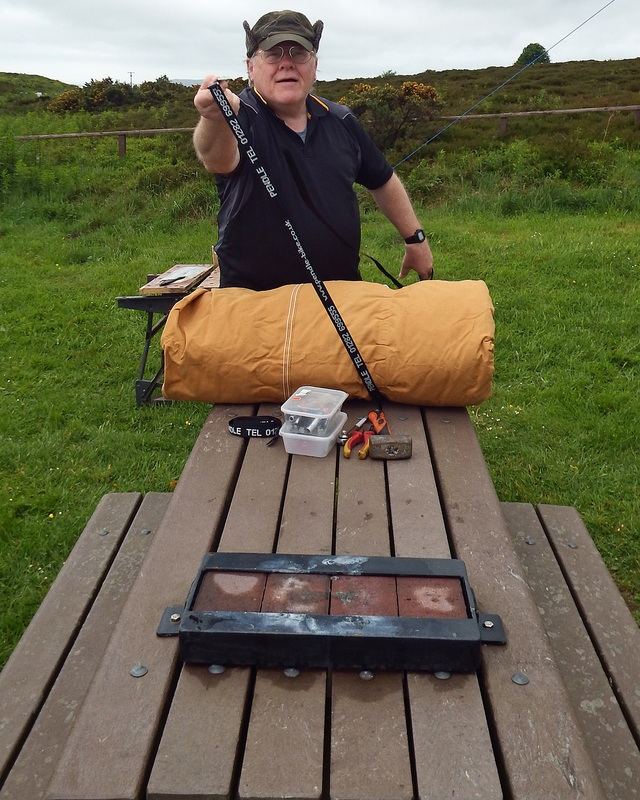 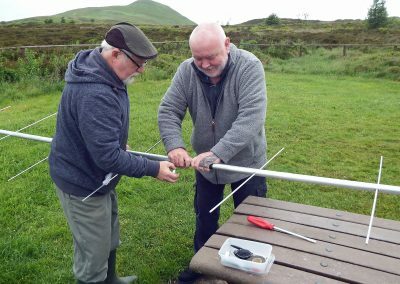 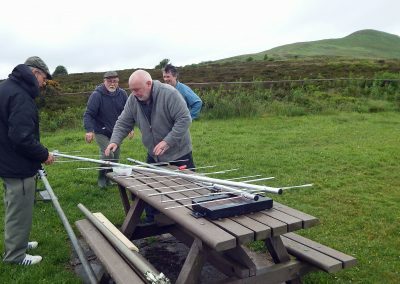 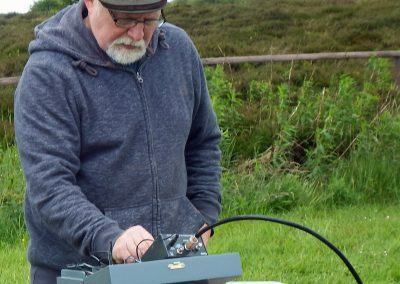 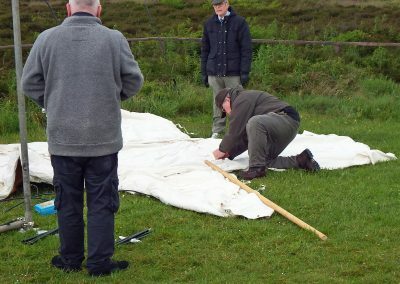 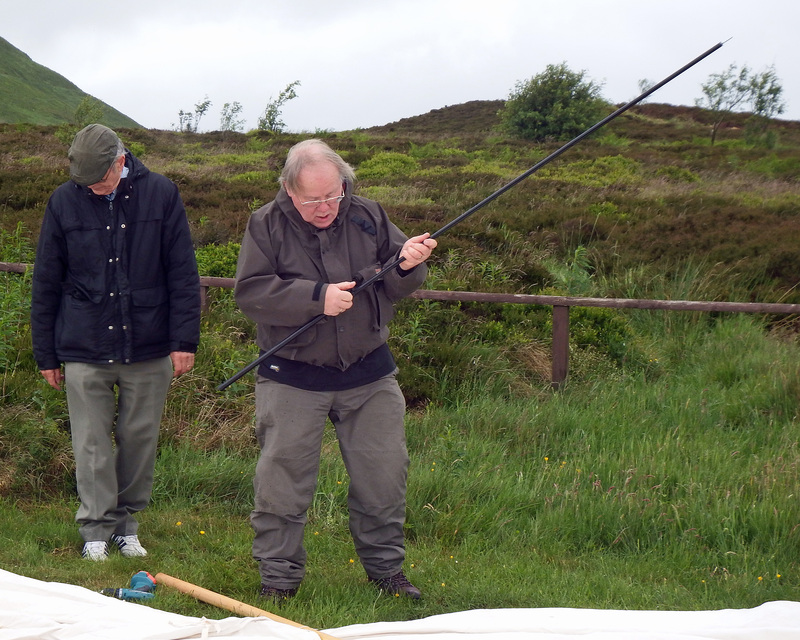 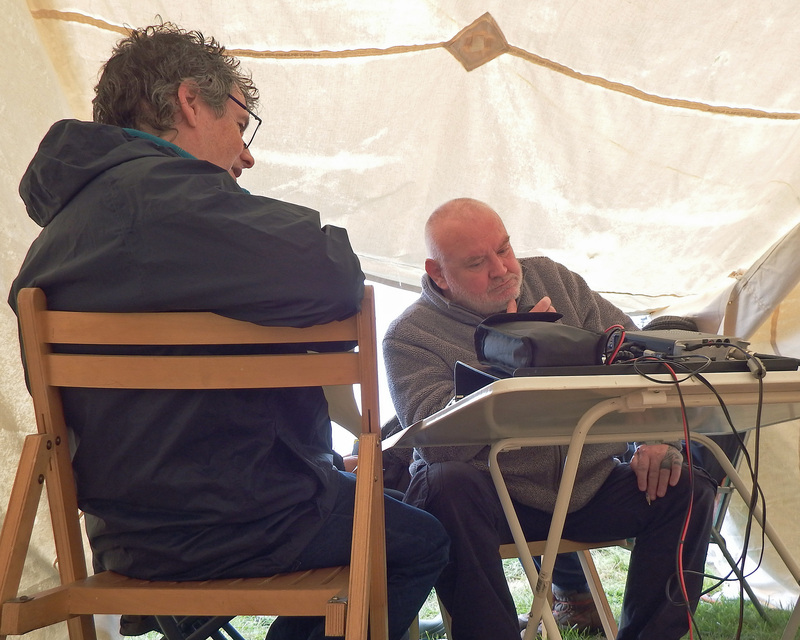 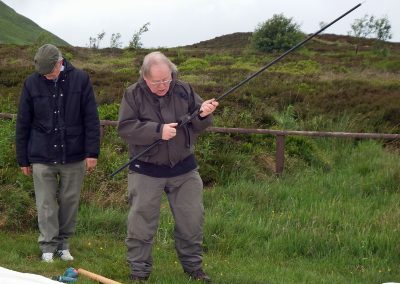 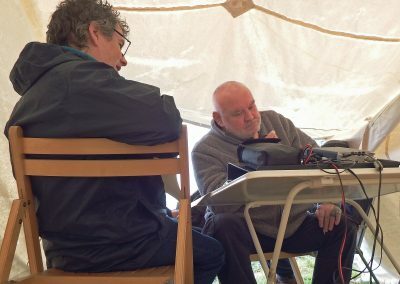 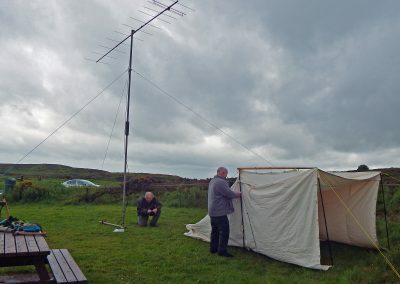 The club had been preparing for the event for a few months with Mick GM0IET & Lawrie MM0LJA constructing a new 12 element beam antenna for the event. 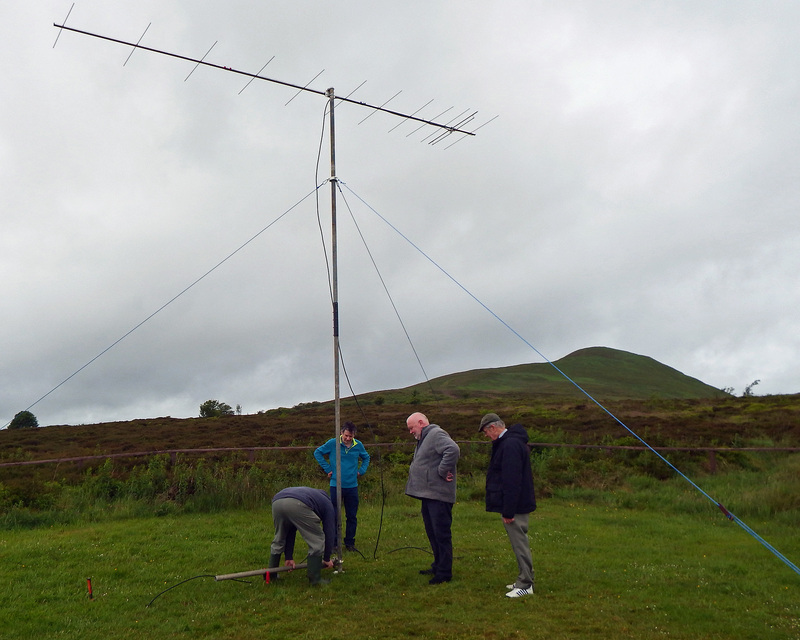 In 2016 the club was awarded leading Scottish Station & Square Winner in IO86 and we hoped to increase our tally this year. 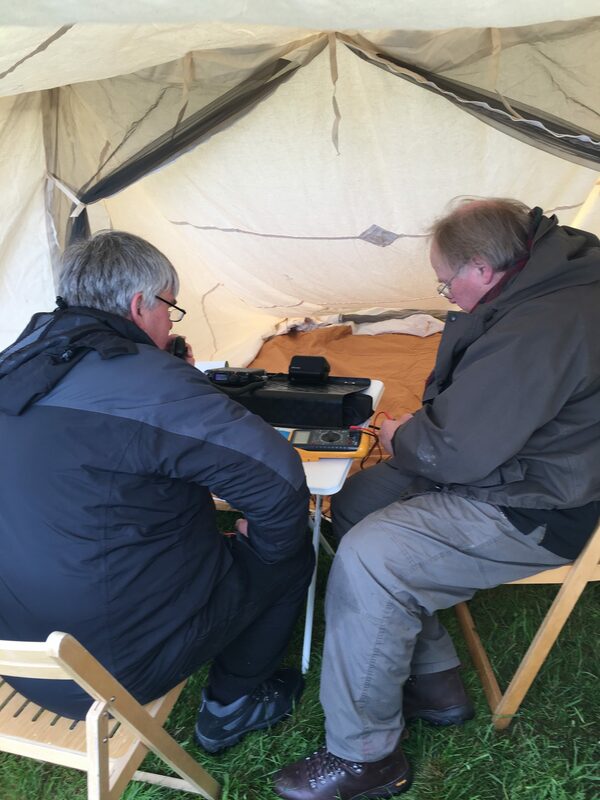 As is usual in Scotland the weather would play a part, in 2016 it was horrendous & this year it again proved to be a wet & windy day with periodical heavy rain & gale force gusts of wind interspersed by a few bright spots during the day allowing those who sought refuge in the operating tent, brought up the hill by Ian MM0HRL, to venture out again. 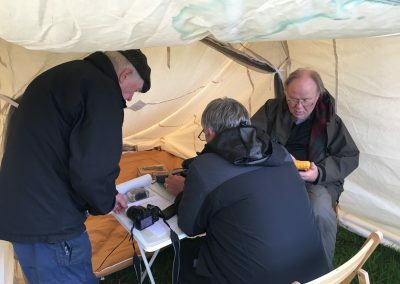 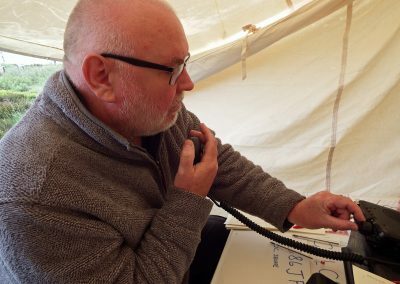 We did manage to beat last year’s tally & made contacts from Inverness to the Isle of Wight covering 6 different squares across 3 of the home Nations with Ireland eluding us!